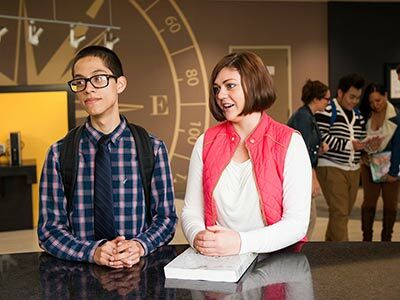 Transfer students who have earned college-level credit from regionally accredited institutions may be awarded credit toward their program of study at Rowan-Cabarrus. Credits earned at non-regionally accredited institutions are generally not accepted, but will be evaluated under certain circumstances. Students must be admitted to Rowan-Cabarrus before an evaluation will be conducted. Rowan-Cabarrus requires an official transcript from transferring institutions. Transfer courses must be equivalent Rowan-Cabarrus courses in descriptions and semester hours, and must have a grade of C or higher to be considered. Quality points will not be transferred. Rowan-Cabarrus will also review credits earned at post-secondary institutions outside of the United States for international students or United States citizens who have earned credits abroad. Please see Admission Requirements for International Students for more information. Students will receive notification to their Rowan-Cabarrus email account once their transcripts have been reviewed. Please allow three to five days for processing. The process may be delayed during peak times when students beginning Fall and Spring semesters are requesting evaluations or when the college is closed for holidays. Transcripts are evaluated in the order in which they are received. Please allow three to five days for a response. Rowan-Cabarrus does not accept transfer credit for Credit by Examination, Internship, or Work-Based Learning credit. Credit may also be awarded for appropriate scores on subject areas of the College Level Examination Program (CLEP) or the Advanced Placement (AP) Program. Official test results from the College Board should be submitted to the Admissions Office. An enrolling student may request that professional certificates with appropriate documentation be evaluated for full or partial course credit within his/her major. Additional criteria may be required along with the certificate to receive full course credit. For each area of certification, the appropriate program chair will determine the Rowan-Cabarrus course equivalencies and corresponding certification required for credit. The student should notify the program chair of which course(s) the professional certification is to be applied to by submitting the original professional certificate for review. The student should submit this information during the admissions process; however, a professional certification can be submitted at any time during the student’s enrollment at the college. The program chair will complete the Credit by Professional Certification form along with a copy of the certification, and submit it to the appropriate academic dean for approval. Once approved by the dean, the form will be sent to Student Services Records Department for assignment of credit to the permanent record. Professional certifications should be current and program chairs can provide information regarding time limits (i.e. within last five years) in order for credits to be awarded for a particular program of study. Do your career plans require you to move onto a 4-year university or college? Then the following information will be helpful in planning that move. What program do I select if I plan on transferring to a UNC school? North Carolina has re-vamped the Comprehensive Articulation Agreement (CAA). This state wide agreement applies to transferring credits between the NC community colleges and the NC public universities. All new students to Rowan-Cabarrus Community College, that plan on transferring, will chose from one three transfer program options (2014 CAA). Continuing students (currently enrolled and completed courses previously) depending on the amount of credit hours earned will either stay in the 1997 CAA (need to refer to entering catalog year) or change into one of the 2014 CAA programs. Please reach out to a program advisor or the Academic and Career Advising Center for further information or to answer questions. The North Carolina Public University System website has helpful resources for you to review with links to the formal agreement, as well as a Transfer Course List. If a transfer student perceives that the terms of the CAA have not been honored, he or she may follow the Transfer Credit Appeal Procedure as outlined in Appendix E of the 2014 CAA. What if I plan on transferring to a private university? Students will need to connect with each private university or college to confirm the institution will recognize the 2014 CAA. As the details are still being worked through between the state institutions, the private schools are now just getting up to speed on the 2014 CAA. However, many of the private institutions in North Carolina previously recognized the 1997 CAA. University representatives visit the North and South Campuses each semester to talk with students who are interested in continuing their education beyond RCCC. Associate in Arts, Associate in Science, and Associate in Fine Arts are the designated transfer curricula but students in all curricula are encouraged to visit with college representatives if they have thoughts to pursue a bachelor degree. Check the calendar frequently to find out when and where your school of interest will be on campus. Visits on North campus will take place in the student center, and visits on South campus will take place inside the Library Resource Center (LRC). This annual event brings together not only area four-year schools, but institutions that fall outside 20 mile radius. Typically, this event alternates between North and South campuses, and is held in mid-February each year. The fair typically attracts over 20 schools. Information and details about this event will be emailed to students. The Reverse Transfer Program is a collaborative effort between North Carolina’s Community Colleges and the University of North Carolina’s 16 constituent institutions. 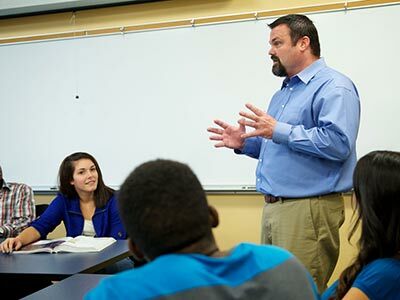 Students who transfer to a North Carolina university from one of the 58 North Carolina community colleges are given the opportunity to combine the credits earned at the university with credit already earned at the community college to determine if the associate degree requirements have been met. Eligible students will be asked to participate when they transfer to one of the participating universities through their student services account. There is no cost to the student for sending information and awarding of the degree. For more information, please review the Reverse Transfer website.